Sandwell and West Birmingham Hospitals (SWBH) NHS Trust is to be the first in the UK to perform a ground breaking procedure, as part of an NHS approved clinical trial to help patients suffering from diabetes and weight problems. 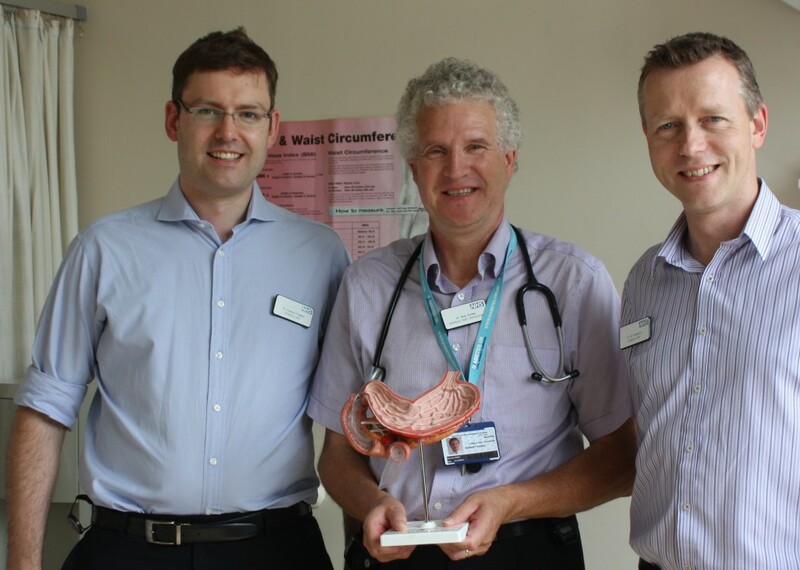 Dr Edward Fogden and Dr Mark Anderson, Consultants in Gastroenterology at SWBH NHS Trust are due to perform the procedure tomorrow (Thursday) at City Hospital. They will insert an endobarrier in the REVISE Diabesity (Randomisation to Endoluminal-intestinal-liner alone Versus with Incretin analogue in SustainEd Diabesity) trial. Dr Piya Sen Gupta, Association of British Clinical Diabetologists (ABCD) Research Fellow, who is conducting the national trial funded by ABCD, said: “This trial presents an exciting opportunity for patients with combined diabetes and weight problems, who currently have limited treatment options, to kick start their way back to health. The endobarrier is a 60cm long tube-like liner that coats the inside of the small intestine (just beyond the stomach), allowing food to pass through but not be absorbed; the impermeable sleeve has been shown to improve diabetes control and reduce weight, without the need for invasive surgery in patients who have poor diabetes control with their current medication. It is inserted by a procedure called endoscopy, which allows accurate non-surgical internal placement of the device. Dr Bob Ryder, Consultant Physician in Diabetes at the Trust and principal investigator on this National Institute for Health Research (NIHR) approved study, said: “At the moment we are in a worldwide pandemic in which the number of patients with type 2 diabetes and obesity is increasing relentlessly year on year without any sign of the problem slowing down. This includes the UK. “At the moment we have many patients who remain overweight and with poor diabetes control, despite our best efforts, including all the modern diabetes treatments. Because the endobarrier reduces weight and improves the diabetes control, it is a treatment that could break the cycle of problems for these patients who have otherwise come to the end of the line.